Having owned Bodyline Fitness Personal Training Studio for over 15 years, Roy Summers set up Ealing Fitness Clinic in 2017 as he recognised a need for a more niche fitness studio that accommodates a specialised team of personal trainers and therapists under one roof. I have always had a really keen interest in sport especially football, running and boxing and so it seemed a natural step for me to get involved in the health and fitness industry. I never thought of myself as a professional athlete, although I did go through periods of time when I was taking part in X-Training competitions quite regularly and doing quite well; X-Training is a great way to get the whole of your body in shape and build up your strength and cardio fitness so I enjoyed every minute of it. 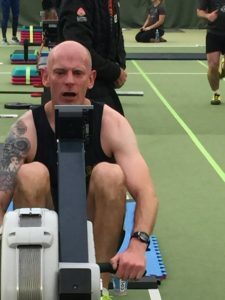 Roy taking part in the Hampshire XT competition in December 2017. Rowing hard! I moved to West London in 2000 to work as a personal trainer and not long after I bought Bodyline Fitness Personal Training Studio in 2005. I have spent the following 13 years working on developing my skills as a personal trainer. More importantly, my motive throughout was to build up the business and the team at Bodyline so people of Ealing have a variety of independent personal trainers to pick from when it comes to their fitness. I am proud that I can now shift my emphasis to running Ealing Fitness Clinic knowing that Bodyline is operated by a different pair of very safe hands. 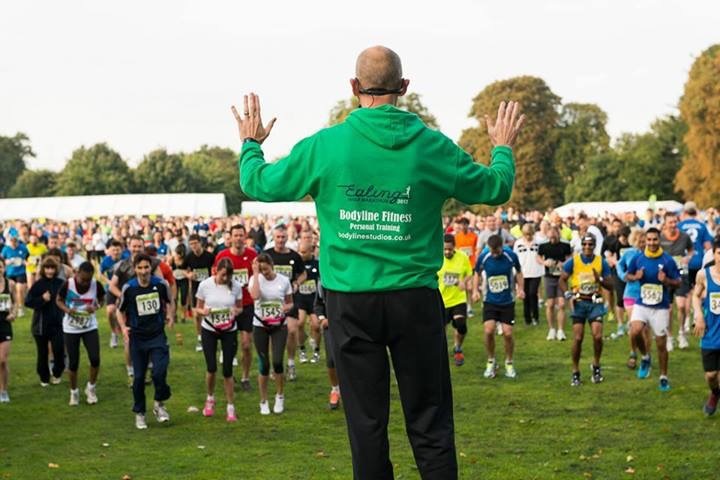 Holding back the hordes of runners during his EHM warm up in 2013! Where did the Ealing Fitness Clinic idea come from? As a keen amateur sports person, I have, over the years, struggled with various injuries, niggles and, over a very long period of time, lower back pain. I realised I couldn’t be the only person in the world (or West London) that liked to play sport and exercise to the highest level they could but was sometimes held back by niggling injuries, right? Luckily, for the new business, the answer to that question is No! So, now I, and many of you, have a place to come to get fitter, stronger and recover from injury ; Lisa, our resident osteopath has pretty much eradicated my lower back pain! 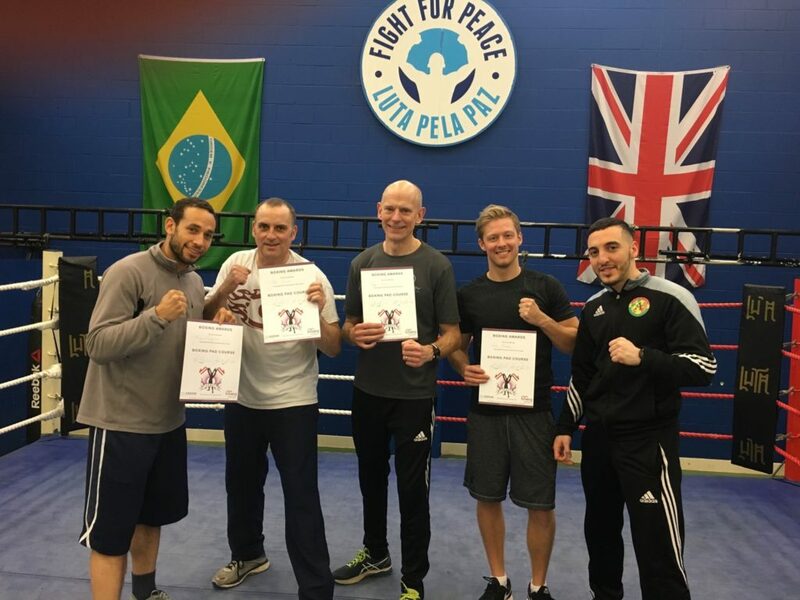 Over the last 2-3 years I have really concentrated on developing my interest in boxing fitness and, to that effect, I qualified as an England ABA Level 1 Boxing Coach and am currently taking my Level 2 qualification as I write this article. I have always loved boxing and I am enjoying the fact that I can know pass on my love and knowledge for the sport to people of all ages from 5 yr olds upwards. I have two groups of 8-9 yr old children that I teach as well as a regular class of amateur fighters at my local boxing club. Becoming an England Boxing Coach has definitely been one of my proudest moments in my career so far and I’m keen to find out out how much farther I can go with the coaching. I am very excited about this new project, namely Ealing Fitness Clinic and, with a great team around me, I can’t wait to see how much we can help people to get back to, and maintain their fitness levels so they can enjoy exercising and playing sports at whatever level they are able to.